According to the Associated Press, a former teacher in an Indiana school district is being sued by the mother of an autistic boy who has severe peanut allergies. Anita Young accused the teacher of trying to feed her son a peanut-filled candy bar in order to make him sick enough to withhold him from a zoo field trip. The boy didn’t eat the candy bar as the wrapper was unfamiliar to him (autistic people adhere to strict routines and rarely pursue items outside of their interests). The Indiana Department of Child Services reviewed classroom aides’ complaints about Trinda Barocas attempting to prevent him from going because of his behavior. The report also includes claims of abusing a 9-year-old girl with Down’s Syndrome. In both incidents, the teacher denied any wrongdoing. County prosecutors and Department of Education officials are currently investigating. In my last post, I spoke about looking for signs in popular press for shifts in autism coverage. The abuse case isn’t one of them, but unfortunately a somewhat familiar story if you follow the news closely. Rain Man signals this issue well in the film’s climax, when Charlie Babbitt finds himself struggling to adapt to the behavioral patterns and peculiarities of his brother Raymond, claiming his case of autism as made up. The abuse case doesn’t exactly parallel with the film’s plot, but it does feature a person working in education who’s ineffective at handling oddities of the mentally disabled (if the claims are correct). Regardless of the situation, people accused of any kind of wrongdoing often deny their involvement when approached by media (and some continue to do so even if they’re convicted). Those who do lie may cover up the truth as the need to be liked often outweighs the need to be accurate. In criminal/civil cases, accuracy often leads to costly rulings against convicts. Ironically, high costs could be avoided if rules weren’t broken in the first place. Isn’t logic fascinating? Ideally, the perpetrator is innocent until proven guilty, but because these highly sought stories are combined with some cynicism from the public, people named in such cases are usually guilty until proven innocent (and are still believed to be guilty by cynics afterward, not to mention the hype that follows when the justice systems commits an error and wrongly punishes an innocent person). There’s a good chance the teacher is trying to cover her hide based on previous problems working with mentally disabled kids. The autistic boy is mostly nonverbal, rendering him ineffective at expressing needs and discomforts through spoken language. Language barriers, often a point of contention in immigration and citizenship debates, can also be troubling to kids who simply cannot do what neurotypicals (and well-developed disabled people) assume is simple. The lack of understanding leads to frustration, and in extreme cases, schemes to take care of the problem. To say tolerance is needed is accurate, but perhaps an investigation into why a few bad apples find their way in the crop would prove fruitful for journalists. Mentally disabled kids grow up with an early strike in the count. Educators should be required to understand difficulties with the disabled population in order to understand and appropriately respond to episodes not experienced by neurotypicals. I found more proof last week that the corporate world still has a long way to go in understanding autism. The lack of intuition cost Abercrombie and Fitch over $115,000. Abercrombie was fined this summer (the results weren’t published until last week) for not allowing the sister of an autistic teenage girl to help try out clothes for the autistic female at its Mall of America location. Abercrombie’s store policy only allows one person in dressing rooms at a time as a means to prevent shoplifting, but Molly Maxson, who was 14 when the incident occurred in 2005. Molly’s autism appears to be more severe than most (and certainly mine) as the article reports her sister saying Molly always had a close eye on her because of her emotional vulnerabilities. 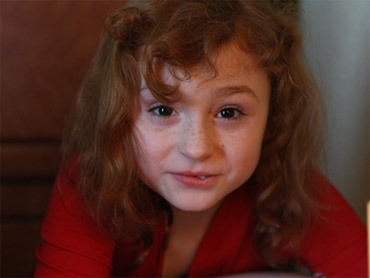 Abercrombie continued to refuse entry even after Molly’s sister and mother both explained Molly’s autism. The company then denied that Molly had a disability until the first day of hearings in the case and the judge hearing the case found that Abercrombie interpreted disability rules only for people with visible handicaps. In its resistance, Abercrombie subjected Molly to an interview with a forensic psychologist, who Molly told she was a misfit at the store. A clerk at another store consented with Brittany (the older sister) immediately after she revealed Molly’s autism. Abercrombie has a history of social problems, targeted over several racial discrimination lawsuits. Unfortunately for them, they turned a blind eye to mental disabilities as well. While the settlement will help Molly’s family cover legal costs and other undeserved penalties, the store could have saved their own hide had they simply admitted making a mistake. By continuing to resist, they only dug themselves a deeper hole. Given their reduction in sales for refusing to lower prices of their clothing, the short-term future doesn’t bode well as the economy undergoes a lethargic recovery stage. What’s important to note is the year the incident originally took place. Not much mainstream focus was given to autism in 2005; that took place the following year after Jason McElwain’s athletic achievement. However, the fact another store consented to the Maxsons suggest people knew about autism and its effects back then. Unfortunately, this problem will likely persist as the autistic population grows. As the judge’s ruling indicated, there’s still an opinion among some that invisible handicaps aren’t the same as visible impairments. The statement is technically correct, but any disability that interferes with a human’s physical or mental capabilities is still a disability.